Jonah Walton is a producer, artist and mix engineer based out of Kansas City, Missouri, USA. He has been a professional Pro Tools user for over 20 years. In this article, Jonah shares his experience building a Windows PC for his Pro Tools computer and explains his choices for each of the technical components used to create his ultimate workstation machine running Windows 10. Following on from our article The New Apple Mac Mini 2018 Is Described As Awesome But Is It A Good Pro Tools Machine? in which we looked at the suitability of the new Mac mini as a Pro Tools computer, we asked community member Simon Nakra to share his experiences. There are countless audio interfaces these days that support sample rates up to 192kHZ. This is a resolution that is not as widely used by those in music production as processing strain on CPUs is not worth the hassle to many who deliver mixes at 44.1KHz. Pro Tools HDX though gets around this by taking the load of the computer. In this article we test the performance and experience of tracking and mixing an entire song in Pro Tools HDX Ultimate at 192kHZ. There are some interesting discoveries…. Whether you work in music production or audio post-production you can now have a versatile interface that delivers the respected DAD sound quality with complete Pro Tools integration. 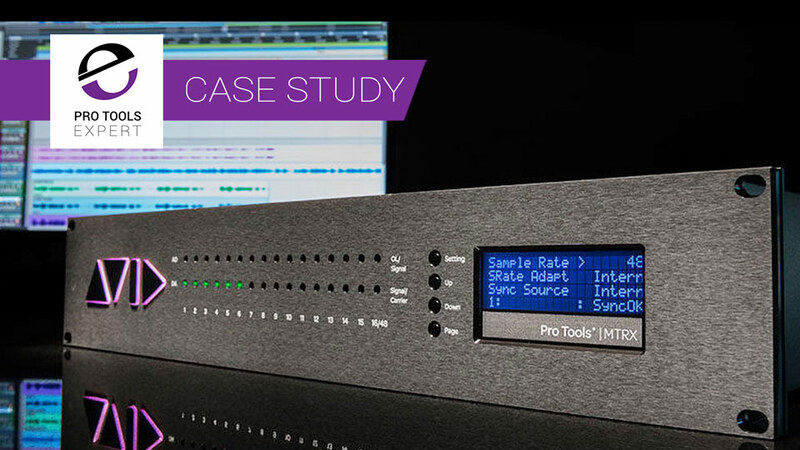 In this article we walk through the features in the MTRX that will help you future proof your Pro Tools HD system and talk to a user about why he chose to buy a Pro Tools MTRX. Flavio Buonerba wrote into the Pro Tools Expert podcast, telling us all about his incredible self-build cross-platform Pro Tools host computer. Flavio gave so much detail and great tips, that we decided that it would best serve the community to publish his experience in full detail, for everyone to enjoy and learn from. 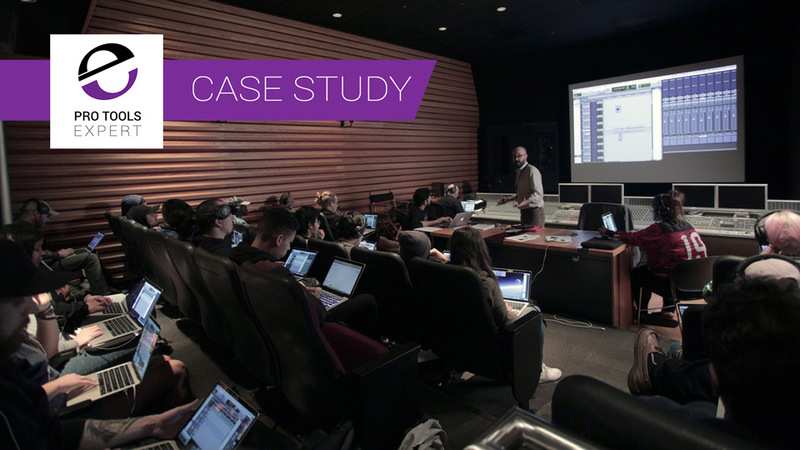 Soundly, which is a cloud-based sound effects library and management tool has revolutionised the audio courses at The Los Angeles Film School, enabling the students to have a much bigger pool of sound effects, and be much more creative when working on their projects, as well as having access to sound effects when now at school. Our friends at DAD have released a promotional video for their AX32, which featured heavily in an educational event presented by the METAlliance (Music Engineering and Technical Alliance) just after the AES show in New York. It's very much a video aimed at product promotion but it does feature some testimony from some of the most respected industry veterans including Al Schmitt, George Massenburg, Ed Cherney, Elliot Scheiner, Frank Fillipetti and Chuck Ainlay and lots of footage of this historic studio. Post Production Specialist Alan Sallabank looks into building a "Plan B" Pro Tools Host Computer, on a budget. Much of my summer of 2017 was spent working on sound editing and musical composition for the indie horror movie, The Nursery. In this article, I will go over some of the inspiration for sound effects, the score, and how to give the audience goosebumps. 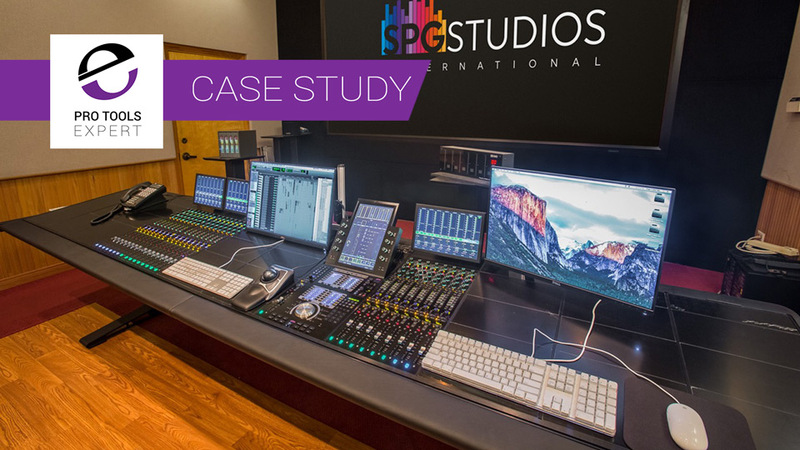 SPG Studios in Burbank, California has recently completed a two-stage upgrade of their Stage 5 room. The first stage of this upgrade was installing an AVID MTRX interface and integrating it with their Dual Operator Euphonix System 5-MC and the second part of this two-stage upgrade was to install a new 12-foot Avid Pro Tools S6 M40 provided and integrated by RSPE Audio Solutions. Avid has produced two videos showcasing how Maroon 5 have adopted cloud collaboration into their workflow and how it has changed the way they work. In this 2nd video, see how the band used Pro Tools Cloud Collaboration to create a new instrumental track, going back and forth between the band members working in their home studios working with their producer Noah Passovoy. Ever since cloud collaboration was introduced by Avid in Pro Tools 12.5 we have been asking how it would work in reality for bands and artists wanting to collaborate with each other. Avid has produced two videos showcasing how Maroon 5 have adopted cloud collaboration into their workflow and how it has changed the way they work. Thomas Koritke, the founder of the virtual instrument plug-in maker, e-instruments, shares why iZotope RX 6 is essential in repairing their hundreds of thousands of audio samples. Russ came across this video and was gobsmacked as to how this could have ever made it out. In an edited highlights cut, we show some serious issues both with the sound capture and most importantly the edit and mix and then outline how some simple changes would have resolved all these issues. I'm convinced that I conceptually invented the silent disco around 2002 when I saw a pair of consumer wireless headphones and put two and two together. Obviously many other people had the same idea and the silent disco has become a popular way around environmental restrictions at festivals and the like. In this video from KLANG FOH engineer Tobias Raunigk walks us round his rig and his working method to deliver 3D audio over headphones to his audience using the KLANG:fabrik. This innovative approach is a logical next step for silent disco style events. 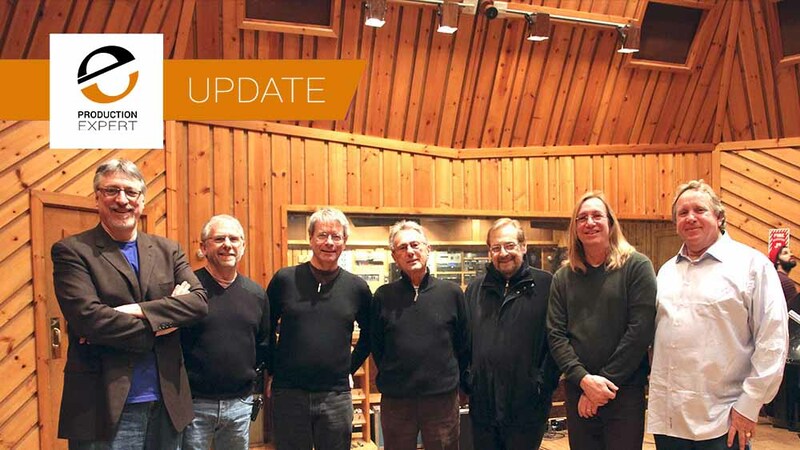 In this case study we get the inside track on this decision and the process of how a 24 fader Avid S6 M40 mixing console has been integrated into their existing AMS Neve DFC surface, which has also been updated to the latest v11 DFC3D software and DAWSYNC plugin, intended to provide a much streamlined and more flexible hybrid mixing experience at Halo Post Production. 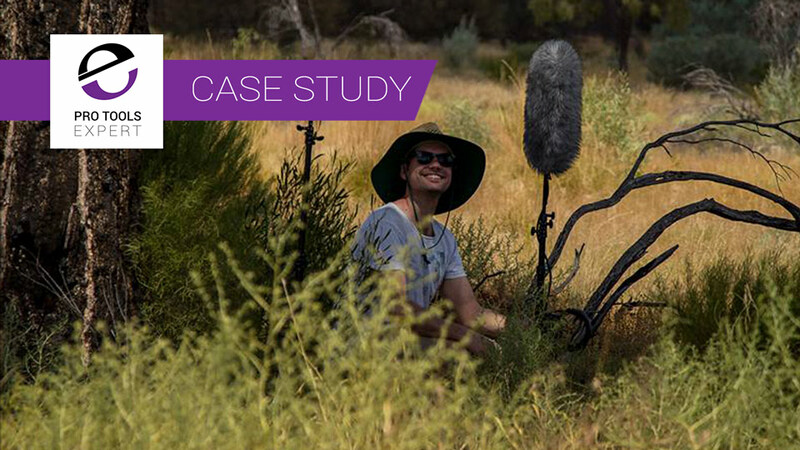 Case Study - How Halo Post Production Upgraded Studio One To Dolby Atmos In 6 Weeks! Earlier this year pictures and tweets started to appear on my social media feeds covering the upgrade on Halo’s Studio One at their Noel Street site to Dolby Atmos in just six weeks and I thought this would be a story the Pro Tools Expert community would be interested in.